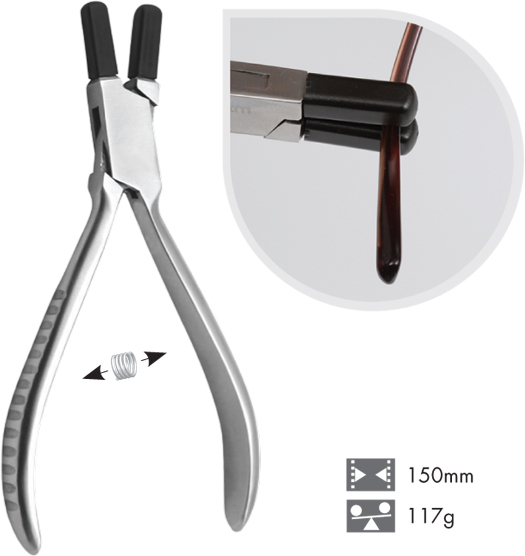 Use to grip plastic or metal frames when bending temples or altering the eyewire. Superior pads are only 8mm wide, allowing you to get into restricted spaces. The pads are dovetailed so replacing them is quick and easy. Will not damage frames.